1. A makeup organizer so you don't have to dig through piles of products to find the mascara you're looking for. 2. A magnetic meal planning pad that'll help solidify what to eat and buy each week. No more last minute screw-it-I'll-get-take-out decisions. You can stick this pad on your fridge or any other metal surface! 3. A multi-device charging station to keep cords and chargers tucked away from view. It's also just an aesthetically pleasing way to organize and display your devices. 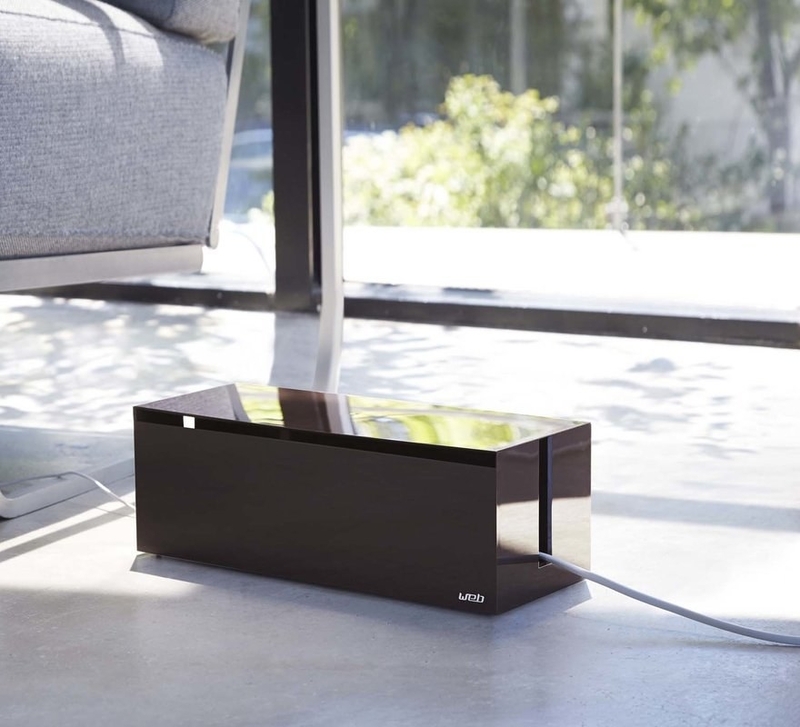 The base is secured with magnets and can easily be flipped open to retrieve the cords! 4. A set of stackable drawers made for collecting your coffee pods and tea bags (or any other small, miscellaneous items that create clutter). You can also use these to organize non-food items! Get a two-pack from Amazon for $18.99. 5. 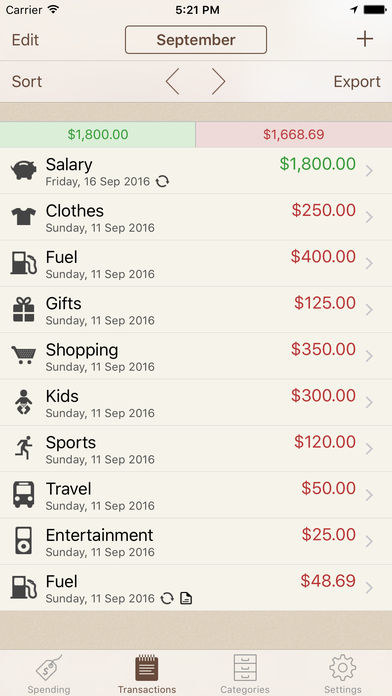 A highly-rated finance app that'll track your spending and help you stay within budget each month. 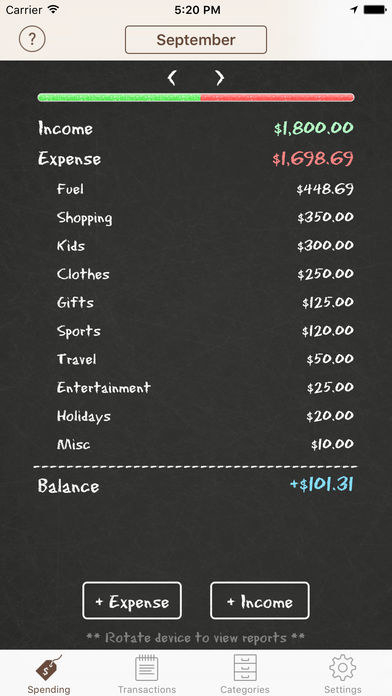 Spending Tracker lets you input your monthly income and different categories of expenses, so you can track how much you're spending, where your money is going, and how much is left! You can also set the balance to carry over to the next month. It's one of the few finance apps that doesn't require you to sync your bank account. Get from the iTunes Store or the Google Play Store for free (pro upgrade is a one-time cost of $2.99). 6. A set of drawer organizers so you're greeted with a neat selection of underwear every time you open the dresser. Get a four-pack from Amazon for $13.87. 7. An over-cabinet hair tool holder to prevent a ball of tangled cords from forming in the bathroom sink cabinet. 8. A pack of generously sized sticky page dividers perfect for sorting out your notes. Get a 60-pack from Amazon for $2.97. 9. A woven elastic organizer, because without it, all your things will just swim around loosely in your bag. It'll secure everything in place and make it easier to find what you need. Get it from Amazon for $15.38. 10. A magnetic strip that's the sleekest way to organize your knives. It's more space-saving than a knife block! You can mount this to the wall or stick it on a metal surface, such as the side of the fridge! Get it from Amazon for $13.99 (available in two lengths). 11. A metal rack can keep your collection of pans, pot lids, and cutting boards easily accessible. It can also be used vertically! 12. A hanging closet organizer (with mesh pockets on the side) for storing items that you don't want to keep on hangers, such as sweaters or T-shirts. Get it from Amazon for $13.87+ (available in two sizes and colors). 13. A tank top/bathing suit hanger that'll make tops with thin straps easier to spot in a jam-packed closet. Get a two-pack from Amazon for $9.29. 14. A double hamper so you can sort the laundry before bringing it to the wash. Plus, the lid keeps everything looking neat and tidy. 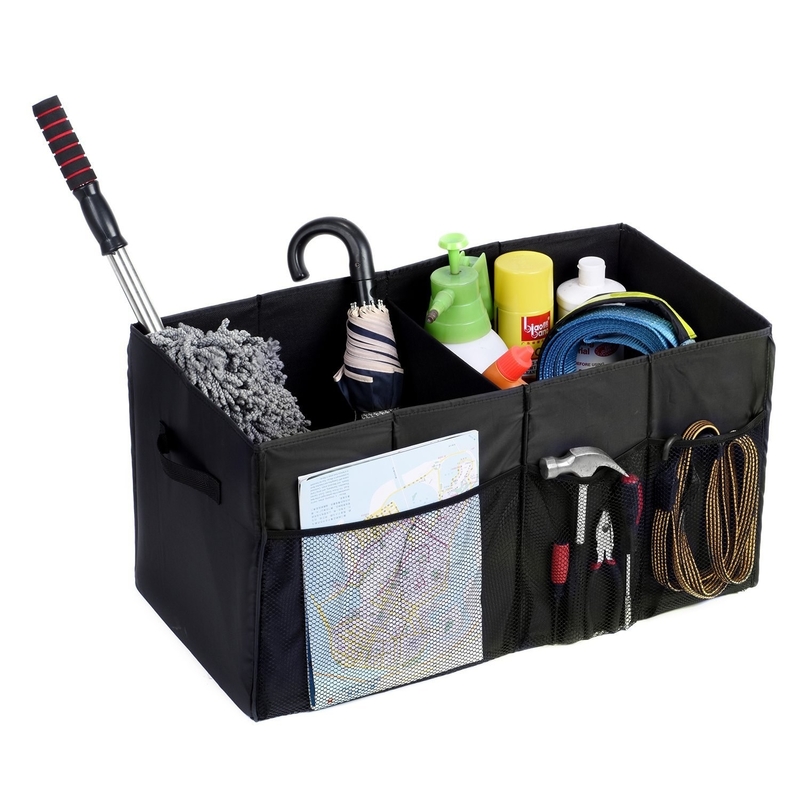 This hamper is lined with two detachable mesh laundry bags! 15. A notepad to keep track of ALL the stuff you have to do on a particular day. Get it from Amazon for $7.33. 16. A shower caddy that'll keep your bath products from cluttering up the tub rim or shower floor. 17. 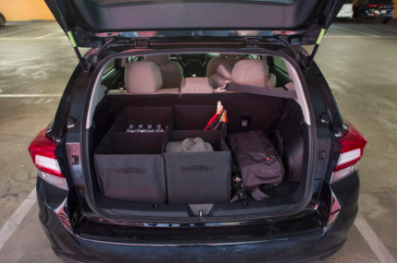 A car trunk organizer for stashing auto supplies or transporting groceries that you picked up from Costco. 18. A set of travel packing cubes to transform a packing novice to a packing pro in no time. Each set includes two large storage bags, one medium cloth storage bag, two small storage bags, and one shoe bag. Get it from Amazon for $18.59 (available in eight colors). 19. A wall-mount grocery bag dispenser so you can collect and reuse plastic grocery bags without filling up entire kitchen cabinets with them. This gadget can store up to 30 grocery bags at once! 20. A set of airtight storage containers that'll keep your dry goods fresh and edible. They'll also look much better than half-empty paper bags. Get a six-piece set from Amazon for $35.99. 21. A desktop organizer roomy enough to hold all your stationery items or craft supplies. 22. A three-tier jewelry tray for keeping your heap of accessories sorted and untangled. 23. An adjustable kitchen drawer organizer to give every spoon and fork a designated spot. 24. A wall-mount mop and broom holder, because your other option is to shove everything in a corner and hope nothing falls. 25. A car seat organizer that'll be a trash can, tissue holder, and bottle holder all in one. You can also use the trash can as storage space! 26. A key and mail organizer with a dry-erase board to keep in the entryway. You won't have to scramble to find the keys, and you'll also be able to leave a message for yourself or your roomie. 27. A spice rack (jars and labels included) that'll easily fit in any cabinet or on the countertop. 28. A dry-erase calendar for keeping track of birthdays, holidays, and important events. You can tack receipts and mementos on the cork section! Get it from PBteen for $129 (available in two colors). Check out similar ones on Amazon here and here. 29. 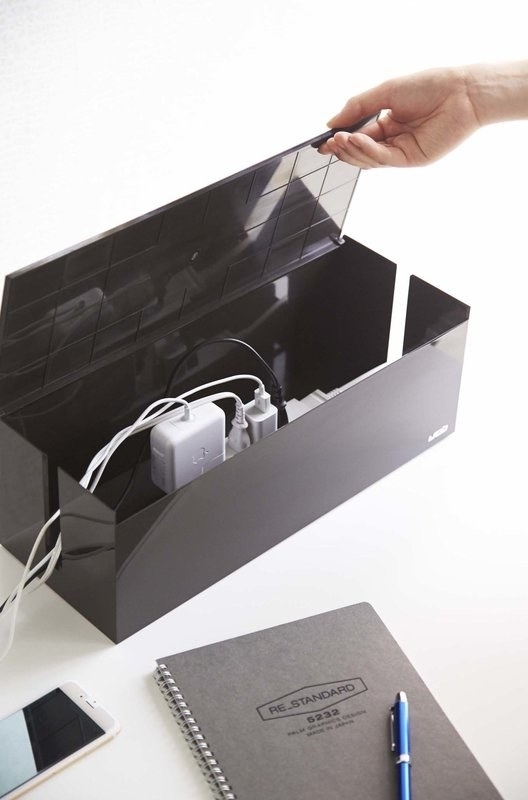 A box for hiding away the power strip and unruly cables. Get it from Wayfair for $33.99 (available in three colors). Check out similar ones on here and here. 30. An adorable toy chest to keep your kiddo's books and stuffed animals out of sight. Get it from Amazon for $21.99+ (available in 10 designs). 31. A stainless-steel pants hanger that 1) saves space 2) allows you to see all the pants at a glance and grab the chosen pair quickly. These are also great for scarves or leggings! 32. A glove compartment organizer so you can easily find all the important documents (insurance, registration, manual) in case of an emergency. Get it from Amazon for $15.74. 33. A wall organizer for keeping documents filed away and off of your very cramped desk. Each pocket each holds up to 25 sheets! Get it from Amazon for $10.10 (available in two colors). 34. A collapsible storage bin to use in literally every room. When in doubt, throw it in a bin, and it will look neater. Get it from Urban Outfitters for $24.99. Check out a similar one on Amazon here. 35. A wall-mount coat hanger that doubles as wall art when not in use. The hooks can be flipped up and hidden! 36. A handbag insert to save you from the agony of dumping out the entire contents of your bag to find one thing. The best part is you can easily move it from bag to bag! Get it from Amazon for $9.99+ (available in three sizes and 23 colors). 37. An over-door shoe organizer for anyone who has a lot of footwear but very little storage space (me). You can also use this to store other things, like cleaning supplies! 38. A best-selling book by organizational expert Marie Kondō that'll guide you through the life-changing process of decluttering your home.